Islam is a religion with over 1.2 billion followers worldwide, which is second only to Christianity. The word “Islam” means surrender or submission. A Muslim is a person who is a follower of Islam. Islam teaches that there is one true God, named “Allah” which is the Arabic word for god. They believe that Allah created the universe, is absolute, eternal, but not a trinity. In their minds, Jesus Christ was simply a prophet of Allah, along with Noah, Abraham, Moses, David, and finally Muhammad. Islam started with Muhammad. Muhammad Ibn Abdullah was born in 570 A.D. in Mecca which is now located in Saudia Arabia. 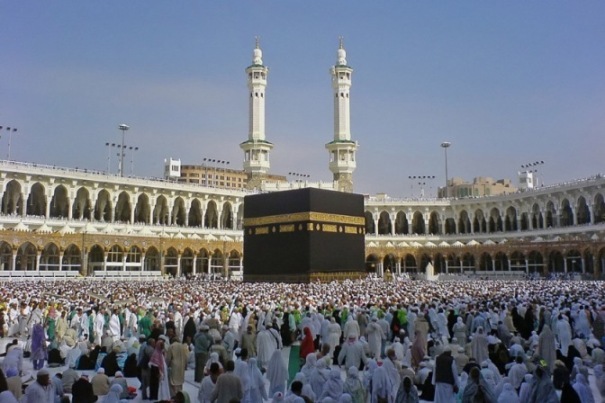 At the time, Mecca had no central government and was full of many tribes with competing religions. Most of them believed in many gods and worshiped idols. Muhammad’s father died a few weeks after he was born and his mother died when he was six. So, his uncle Abu Talib was the main person to raise him. At the age of 25, he married Khadija, a wealthy widow who was 15 years older than him. They had two sons and four daughters. Around the age of 35 in 605, Muhammad began going to Mt. Hira to meditate on a regular basis. After five years of meditating, in 610, Muhammad claimed that the angel Gabriel appeared to him and recited to him a long series of words that he was to share with others. Muhammad could not read or write, so he recited them to his friends who wrote them down on various objects. Muhammad would also preach these words. He thus founded the religion of Islam and gained many followers. However, many in Mecca opposed him which lead to civil war. After several years of fighting, Muhammad emerged victorious in 629. In 632, Muhammad died at the age of 62. After Muhammad’s death, Abu Bakr was named the next leader of Islam. He published the Quran (Qur’an, Koran, Alcoran, Coran, Kuran, etc.) which was the complete text of what Gabriel had supposedly recited to Muhammad. Quran is Arabic for recitation. The specific Arabic dialect used in the Quran became the official language of many countries, due to the Quran’s popularity. The Quran is composed of 114 chapters known as suras and is written in a poetic style with rhymes and meter. The content of the Quran is somewhat similar to the Bible. It contains stories about Adam and Eve, Cain and Abel, Abraham, Moses, Mary, and Jesus. It also teaches themes including good social and ethical behavior, Allah is the only God, there will be an end of the world and a judgment day, those who are not Muslims will go to hell, and those whose good deeds exceeded their bad will go to paradise. The Quran is full of contradictions both internally and externally. We will go through a few of them so you get the idea.